Today, the latest news that we are going to share with you will blow your mind. This update is especially for those contending candidates who were browsing UP Primary Teacher Vacancy 2017 recently propagated by Uttar Pradesh Basic Shiksha Parishad, Allahabad in the newspaper about 16460 vacancies of Assistant Teachers in Primary Schools. Yes, it is really mind-blowing news, isn’t it? Just after the declaration of the recruitment, people are losing their patience because what they want to do is apply right away. However, there is a time for everything. From our JobsDeal’s team, meritorious aspirants are advised to download UP Primary Teacher Recruitment Notification 2017 for the reason that the best way to know original data is doing so. All Eligibility Criteria lie down in it. As far as the official news is considered, announcement for overall 16460 Assistant Teacher vacancies has been stated. However, out of the total posts, 12460 are available under the General Recruitment category while under the Urdu Teacher, remaining 4000 posts are available. Taking account of this district wise news announcement, we conclude that this is an amazing chance for the interested job-seekers to show their talent by applying online and cracking the selection rounds. So, if you have an intense demand towards this Assistant Teacher Recruitment. People are surfing online asking different questions, such as what are the eligibility criteria for Uttar Pradesh Primary Teacher? How they can stay up-to-date about every crucial update on “primary teacher vacancy in up latest news" is very simple, just keep visiting this website i.e. 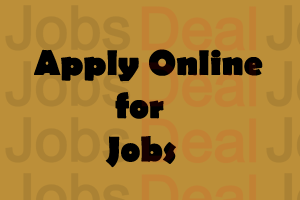 www.jobsdeal.in or you may proceed to the official website at upbasiceduparishad.gov.in. 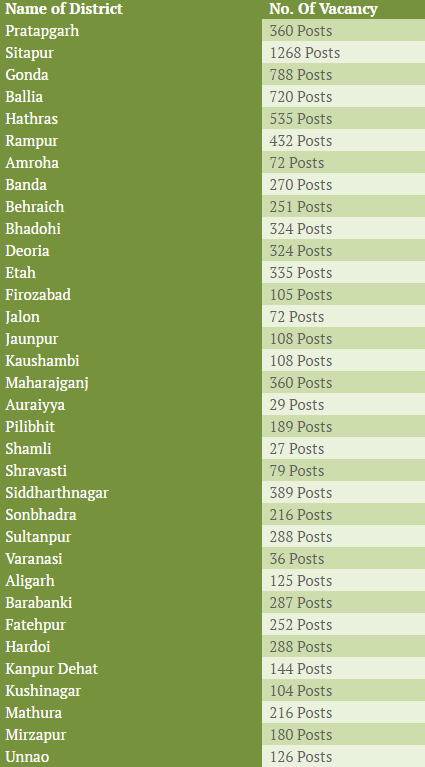 Before moving further, we want to tell you that this Uttar Pradesh Primary Teacher Recruitment is available for 34 districts (as shown in the image below). You can grab District Wise by using the official links. Although the Eligibility Criteria for UP Assistant Teacher Vacancies are same, however, there may be a slight change in the same according to different districts. There, it is highly recommended that you get complete details. Reading a lot from the above-provided panel, you might be wondering to know “Eligibility Criteria”. Don’t worry, we have got the information on the same. Take a look down to be aware. Age Limit: Age Limit applicable for this recruitment is 21 years to 40 years. However, the age relaxation is provided as per authority’s rules and regulations. Educational Qualifications: Those who want to be part of this recruitment need to possess a qualification of BTC (qualified through TET) and Special (Vishishth) BTC. You may grab complete data through the official advertisement. Application Fee: The aspirants who are from General/OBC category would be required to pay the fee of ₹500/-, whereas reserved candidates (SC/ST) will submit ₹200/-. Also, there is no fee for PWD aspirants. Pay Scale: The salary that is given to the selected contenders is ₹9300/- to ₹34,800/- along with the Grade Pay of ₹4600/-. The procedure to apply online for these Assistant Faculty Vacancies in Primary Schools is rather easy; all you have to do is follow the steps as shown below. Initially, you are required to log on to the official website of the board, which is “upbasiceduparishad.gov.in”. Then, you will see some notification links out of which you have to review suitable. On opening the next page, you need to “Download Notification” in order to be familiar with the requirements (requisites). You will have to fill “Online Application Form” to register for the recruitment. Provide with all important details correctly while filling the form. Pay the application fee on or before the deadline (closing date). In the end, you need to submit the application form and save it to take a printout of the same. Although we have furnished complete district wise on UP Primary Teacher Vacancy 2017, however, if there is anything you think we have missed, please let us via comments. To spread a word, please share this article with your friends! Ap ye dekhiye ki ap kaise satisfied hain. Puri information ke liye, notification bhi dekhen. Dhanyawaad! Hello Prakash Pal, welcome to Jobsdeal.in! Cut Off may vary as per the category, please keep checking for more updates. Also, check out the notification! I am BSc botany chemistry.I had zoology in fiest and second year.Can I apply. As per the requirements, the applicants must have "BTC (qualified through TET) and Special (Vishishth) BTC". Have a look at the notification, too. Is it up to you. Choose the district in which you are willing. And, be sure you are applicable there.